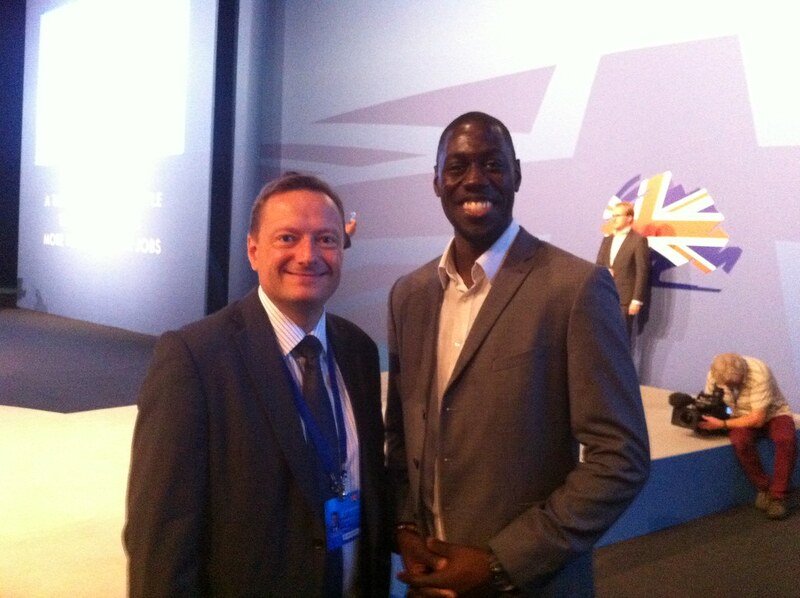 Jason met with inspirational young entrepreneur Jermaine Hagan after the Prime Minister’s speech at the Conservative Party Conference in Manchester. Jermaine is the founder of Revision App which was developed to help students learn and revise. Jermaine was supported by the Department of Business, Innovation & Skills Start-Up loan programme. Jermaine is one example of what Prime Minister David Cameron wants the UK to turn into: a land of opportunity for all. Under a Conservative Government, wherever you live or whatever your background, if you put in the effort then you will have the opportunity to make it. The Prime Minister’s speech had a clear message: we’re getting there. We are fighting to build a better country and we need to be able to finish the job that we’ve started.